It is inarguable that our physical appearance has become one of the most important factors of judging people. Some people might say that there is nothing wrong with looking physically attractive. However, the emergence of the word, ‘Lookism discrimination’ reveals the reality of our society, especially in workplace, where an individual’s look can have as much influence as one’s skills and performance in the office. It may be hard to openly admit it, but employers recruit and promote employees base on their physical appearance since they can represent the image of the organization. The consequence of this can make an innocent and skillful applicant jobless and employees being discriminated or harassed in the workplace just because of their physical appearance. This is the reality that potential job applicants, employees and we are facing silently. Especially for women, their look can be a leading dependent for their career success than their achievements and abilities. It is also evident in the survey reported in The Times that women who wear make-up in their job interview get better jobs and are more likely to be promoted faster. It states that 64% of managers and directors of the organization believed that women who wore make-up in job interview and in the workplace look more professional. This strongly supports the existence of lookism discrimination existing in today’s society. 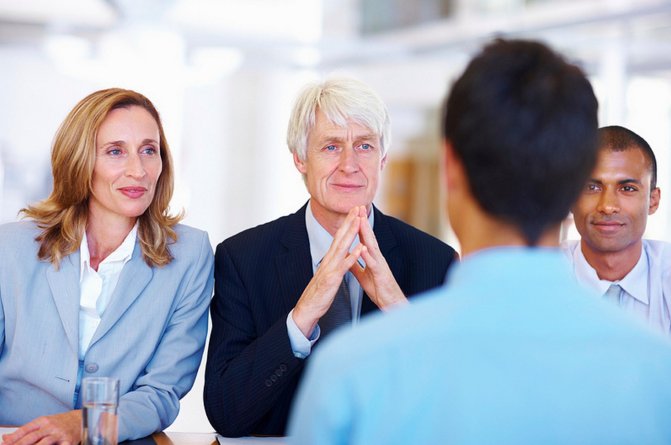 The Guardian published a similar report that “attractive applicants have a better chance of getting better paid jobs”. The article also stated that women spend one fifth of their income on improving their physical appearance in workplace since they believe that how they look is a crucial factor in their career path. A question can be asked whether we discriminate by look without acknowledging or not. That is the reason why I have created this social campaign. We should keep in mind to ourselves that look is not everything and one’s inner beauty, ability and skills are the ones that should matter the most. Due to the development of technology, not only our society and the way we communicate have changed dramatically, but also the definition of publishing has expanded. Publishing can be defined as a process of “making information available to the general public”. (Wikipedia, 2014) However, traditionally, publishing referred as the production of printed newspapers and books. As our society moved forward with the advance of technology and the appearance of Internet, the way we interpret publishing also now includes publication of digital resources, such as blogging, micropublishing, and various different digital publishing activity. This change has brought major differences in how we communicate, interact and socialize with each other in the 21st century. This is evident through investigating pre-1900 publication of Gutenberg’s printing press and post-2000 publication of today’s social media networks such as Facebook. According to Boog’s (2013) timeline visualization of a brief history of publishing, the very earliest form of publishing was the human cave painting found in Spain in 40,000 BC. In 1,300 BC, Chinese created books out of wood and bamboo strips. After 100 BC, roman scriptoria started selling books as a symbol of distinction of class. In 1040, world’s first movable type printing technology was developed in China, which later improved by Johannes Gutenberg. The link below archived the data of the history of publishing and effectively visualized. The first notion of publish was born by a German printer Johannes Gutenberg, who invented the world’s first known movable type printing technology. A Canadian scholar McLuhan (1962) describes this as the Gutenberg’s evolution of printing. Before the Gutenberg evolution occurred, the pre-Gutenberg world communicated via extremely inconvenient and time-consuming method of hand-produced books, scrolls and tablets (Stacy, 2008), providing limited access of only to a restricted elite group. Any kind of general information exchange or communication therefore highly relied on the medium of word-of-mouth. The introduction of printing press had a huge impact on our society and how we communicate with each other. When Gutenberg transformed the previous preferred Codex into a printed manifesto, it has allowed the mass production of printed books in a cost effective way for both printers and readers. Moreover, It has fostered the Renaissance, the European cultural movement in the early modern period where it profoundly influenced numerous areas such as literature, philosophy, art, music, politics, science, religion and many more. Scientists were able to share their findings such as data, methodology and ideas, which allowed science field to grow enormously. Simply put, due to the introduction of printing press, the era of mass production and mass communication became possible, even though it was still expensive, which ultimately and permanently shaped and still is shaping our society today. In comparison to the past where people originally communicated through cave painting and delivering information through word-of-mouth, ever since the introduction of the printing press, people actively and vibrantly communicated, creating media and press, in a more faster and efficient way. However, even though the Gutenberg principle (Stacy, 2008) has allowed significant changes in the society, it still did cost a lot of money when distributing the information to the mass audiences. It was more widely used by institutions rather than individuals. Nevertheless, beginning from the 20th century and till today, media has faced a new era due to the introduction of the Internet and the World Wide Web, including the Web 2.0 and Web 3.0. When in the past, where people communicated through hard copy books and newspapers, which is costly and time consuming method, nowadays, people not only receive information but rather actively publish and share with broader public without the limitation of time and space through digital publishing. This change has brought major changes in people’s social relationship, where people actively use numerous multi media platforms to engage lively. Although the meaning of publishing has expanded due to the development of digital media, it is still conventionally perceived as to the distribution of print media formats such as newspapers and hard copy books. However, publishing today also largely includes online publishing activity such as micro-publishing. Cristina Katz (2012) defined that in micro-publishing’s perspective, “every person is a publisher”. She believes that every person has the right to express their opinion, even though it can be unprofessional or incorrect, they have the right to speak up, reach the audiences and actively communicate. The difference between the traditional publishers and the micro-publishers is the target audience. Traditional publishers show strong tendency to target the mass audiences, whereas the micro-publishers aim to reach likely readers. One example is Facebook, a social network media where micro-publishing is evident. In Facebook, a vast number of 1.35 billion monthly active users (Craig Smith, 2014) have a potential to be a micro-publisher via posting status, commenting on other’s post, uploading any images or videos to share and actively give and take information. Through these activities, people today are constantly socially connected to each other and publishers can deliver the content via online more faster than ever, compare to the past era of Gutenberg’s. As the aforementioned argument states that when publishing changes, so does our society. Shifts in the form of publishing from cave painting to online social networking activity, our society and the way we interact and socialize with each other has greatly altered. Social networking system became the “popular platforms for interaction, communication and collaboration between friends,” (Wilson, et al. 2009, p.205). With the statics mentioned previously, with Facebook having 1.35 billion monthly active users (Craig Smith, 2014), this significant number of users are the living evident, which proves that the social media platform has become one of the most vibrant medium of today’s publication system. However, as Rusbridger (2010) suggested, the innovation in new technologies should not completely ignore previous frameworks in publishing. Simply put, it is crucial for us to recognize that the social media platforms such as Facebook are not entirely a ‘new’ technology; hence it can be described as an evolution of the past frameworks. Its fundamental characteristics such as the purpose of communication, exchanging information and connecting with others shares the same value with the Gutenberg’s printing press. Nevertheless, when Gutenberg’s printing system fostered mass communication in the beginning, with no doubt, we can say that the social media platform is not only maintaining the system, but also allowing its function to go further by creating its own characteristics possible such as the introduction of Web 2.0 and the upcoming Web 3.0. The future of our society, most likely will be more dependent on the Internet, being everywhere at all the time. Before the introduction of the Web 2.0, users had limited access and passive viewing of contents. However, the Web 2.0 opened the gate for the users to vibrantly collaborate and interact, allowing two-way communication with each other, as being the publisher of user-generated content via social media platform. Web 3.0 is will be focused on overcoming the physical location of the Internet being out of the computer screen to numerous different devices such as smartphones, cars and other household appliances, where the Internet will be connected without any barriers, being omnipresent (Randy Matusky, 2013). Experts predict that our society will be shifting more towards to the development of the mobile culture, with the introduction of the Web 3.0, being mobile phones with Internet highly attached to our daily lives. (Daniel Nations, et al.,) This is not surprising since the mobile culture is growing extremely fast, already greatly influencing our everyday lives, creating “a new paradigm that outlines the vision of communication media today” (Kenichi, 2006, p.346). With the introduction of Smartphone and the ultimate advance of technology, users can literally do everything and anything, without the limitation of time and space. For example, it is now a common pattern for social media users to lively connect and communicate with each other through the medium of smartphone, using their social media applications such as Facebook. They constantly and lively post and share what they see and hear at the moment. Furthermore, we can even create a video, document or any written or visual contexts and upload on our Facebook, personal blog, or even other’s publication area. Although the introduction of new media has numerous positive aspects, there are few challenges confronting these matters. First of all, one of the challenges could be the issue of the copyright. Since there are hundreds and thousands of Internet users all around the world, it is extremely hard to regulate, when comparing to the print media, due to the uncertain boarders and laws from different countries. For example, it is simply impossible to monitor the entire vast amount of users using Facebook. Also, some societal concerns are also being raised such as cyber bullying, Facebook drama and addiction to mobile phone and the Internet. Additionally, most important challenges that matter would be the authenticity of the online social relationships. Researchers and psychologists claim that offline relationships are more valuable and important in remaining good social relationships in general. Cummings (2013, p.103-108) states that online social relationships are only useful when it merely supports and fosters offline relationships. In comparison where the printing press operated through trading via face-to-face communication, today’s social relationships are mostly conducted through online environments such as social networking platform, such as Facebook. Some people might say that it is possible to create strong inner connections through Facebook if you share similarities or hold common types. However, Professor Nancy Baym (Rick Nauert, 2009) claims that even though you share common values, “on average these relationships are not very strong”. Even though there are few concerns remaining, it is unquestionable that the new media shaped our society to constantly communicate, interact and socialize through numerous digital media platforms, allowing anyone and everyone to have a voice and reach the likely audiences. With the broadened definition of publishing from simply printing hard copies to generating numerous forms of online contents, our society is going thought adapting the new era brought by technology. Information and data can be freely exchanged and delivered to potential individuals without any barriers. Today, our society is moving more forwards, shifting to the ‘networked media’ as Fritjof Capra (1996) describes, “Wherever we see life, we see networks”. Through the development of the Web 3.0, our mobile devices such as smartphones, laptops, tablet pcs and any devices with mobility can “make the mundane interesting, the everyday confronted, providing a new lens for viewing the world through a new camera vision. The sense of intimate connectedness to the message, its subjects and the author has emotional implications in everyday art experience, making one feel special, important and inspired.” Today, we live in a day where digital media became a virtual space in our lives, allowing us to be globally connected, sharing and exchanging values, cultures and information, creating social bonds via digital medium and consume the new media as a whole new playground for infinite publishing platform and this will simply grow larger and larger by the endless development of technology. Capra, F. and Castells, M., 2005, Informationalism, networks, and the network society: a theoretical blueprint . Elgar, p.4. Kenichi, I., 2006, Implications of Mobility: The Uses of Personal Communication Media in Everyday Life, Journal of Communication, 56 (2), p.346. Wilson, C., Boe, B., Sala, A., Puttaswamy, K. and Zhao, B., 2009., User interactions in social networks and their implications. Proceedings of the 4th ACM European conference on computer system, p.205. The creation of the Web 2.0 has allowed the new media to develop faster; influencing people’s daily life and also forced the distribution and aggregation of media. The advance technologies and numerous media platforms have allowed us to constantly socially connect with the world through the distribution of media, as Gauntlett (2010) comments, “Making is connecting”. Due to the Web 2.0, consumers today can connect without the limitation of time and space, sharing information, opinion and data more easier than ever, and can publish their own creation, interact with others and give and take via numerous media platforms. One example can be Facebook, where users all around the world post, share and comment on what others published. This publishing then is spread to vast audiences of Facebook users. This allows connectedness through the media sphere, offering a new scope and new publics to be reached. I agree with Gauntlett (2010) that these new media changes are positive. One of the changes in the new media environment is the introduction of the E-book. This change has fostered the book industry to face a new platform to reach more readers in a more convenient way. Although the traditional readings such as newspapers and paper books are still steady sellers, with no doubt, the new introduced e-books are fast growing new media industry. 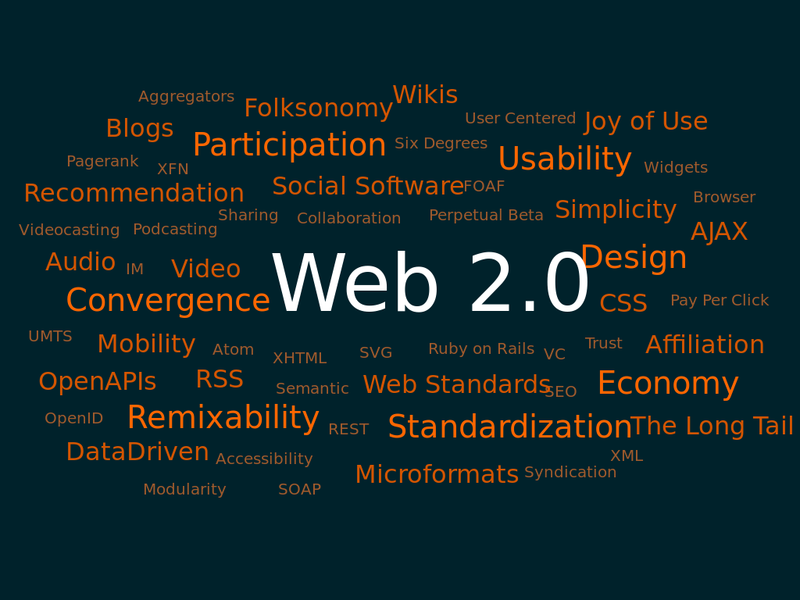 As Gregg (2011) mentioned how the Web 2.0 was a confusing concept at first, however, it is now a crucial part of our every day social and media culture. There are so many information and data that we encounter in our every day life. The format that we encounter these information and data vary depends on how we publish them. Today, we make it visible through visualization. Rather than simply explaining to the audience by words, visualization allows for the audiences to capture the idea, fact, statics or any kinds of information in a more easier, convenient and effective way. Visualization helps us to discover the unknown via image and due to this we can create already existing patterns of data and form a new relationship. The issue of climate change can be an example of clearly delivering information in such visualization of graphs, data, tables and images in order to deliver the complex, and scientific information in a understandable way to the audiences. Since there are numerous data and information about the climate change, it is getting harder and harder to having own opinions. However, visualisation allows us to visit websites and blogs that have gathered, created and published visuals, graphs, photographs and videos that helps us forming our opinion. Visual media has the power to draw audience’s attention in one glance, evoke emotion and help form our own opinion. Also, technological advances has also fostered the visual media to reach the audiences constantly through new devices such as mobile smart phones, tablet pc and so on. “The commons” and Attention, Good or Bad? This week’s blogging will focus on the “commons”, which is a production of collective archives, and the how attention affects how we organize and archives the commons. First of all, the commons is resources that our society collects, based on same interest or perspective in a communal manner where everyone can access without limitation. (David Bollier) Some people might say that the idea of “the commons” is harmful in a way that “we’re in a danger of losing this global commons as it comes under assault from an army of trolls and flacks, many of them covertly organized or trained.” (Monbiot) However, Walljasper mentions “the health of the planet should take precedence over the profits of a few”. First, it allowed individuals to work collaboratively. Second, the platform of Internet that allowed us to work without the limitation of time and space. Lastly, allowed organizations or foundations to reveal their know-how or information to the wide audience. Attention comes at the end. When we archive (collect), it creates the economy (of commons), then it waits for audience’s attention or distraction. So eventually at the end, what we archive will be evaluated and divided into different categories such as power, money, knowledge, including attention. I think we are in a process of adapting a new culture of fast-rotation of information and some of us are scared or worried about the side effects. We should enjoy the process of development of our society and observe how fast we publish, exchange and how this affects our society and broadly our world.